IRREGULAR VERBS THAT STAY THE SAME IN INFINITIVE, PAST SIMPLE AND PAST PARTICIPLE FORM. In the English language, most irregular verbs change form in the past and the past participle. Yet there some irregular verbsthat do not change at all like cut, cut, cut or cost, cost cost. 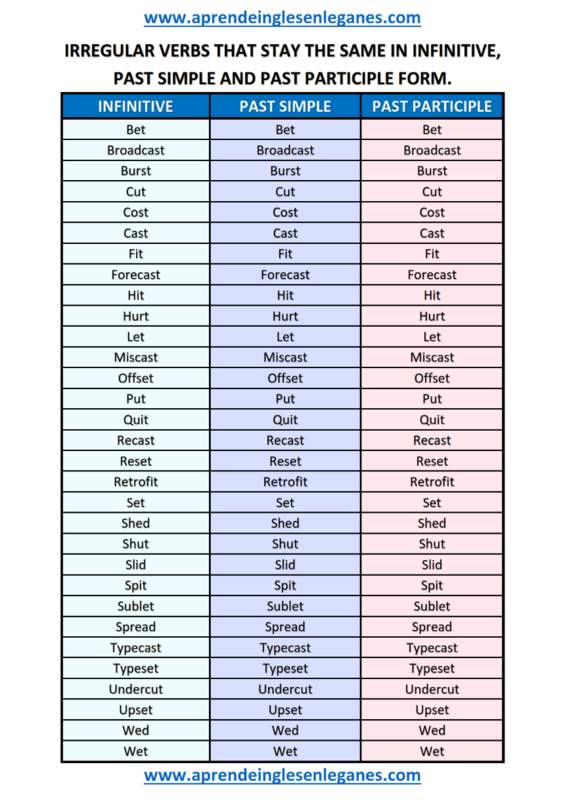 The list below contains 30 such verbs.